Chain Link mesh for fencing, woven from steel wire, is one of the most widely used and versatile of all fencing fabrics, available in a variety of wire gauges and mesh sizes to suit specific applications. 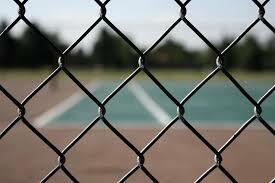 Chain Link fencing is generally used where security is not the most important issue but boundary demarcation is. 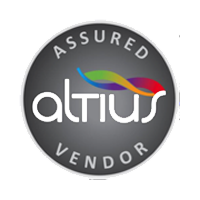 Available in three finishes, heavily galvanised, P.V.C coated with a bright core or for double protection, P.V.C coated with a galvanized wire core. 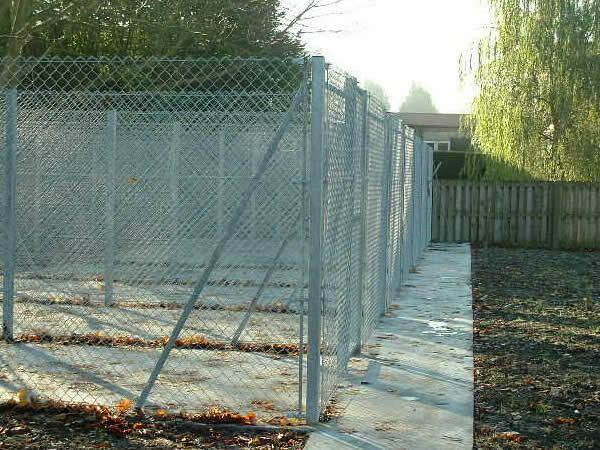 Chain Link fencing , by its very nature offers a more friendly and welcoming aspect to boundary demarcation. 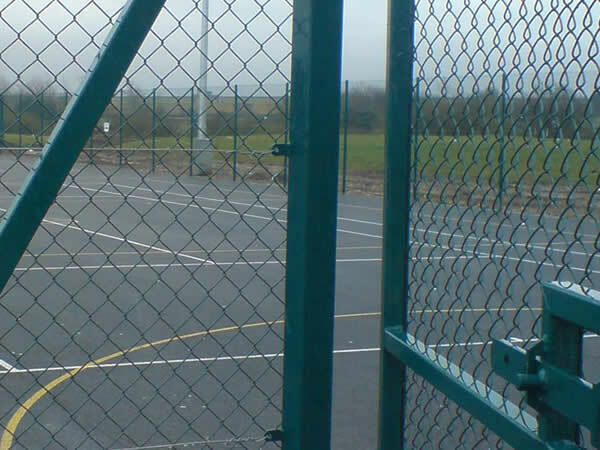 With a lightweight, cost-effective yet solid appearance , chain link fencing is generally used for playgrounds and tennis courts, encouraging people to view or participate whilst maintaining the ability to keep unwanted individuals out. 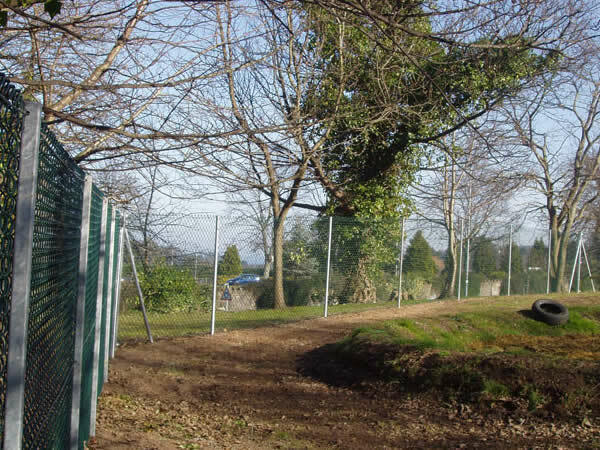 Chain Link fencing has the benefit of being totally customisable, available in a variety of heights from 0.9 metres up to 3.6 metres, where height itself acts as a cost effective anti-climb feature. Chain link fencing is surprisingly rigid, so through careful planning and application of suitable wire gauges and mesh sizes we can install a solid and secure Chain Link fence around your boundary, we can create the balance you are looking for, combining value for money, security and a fence that is pleasing to the eye. 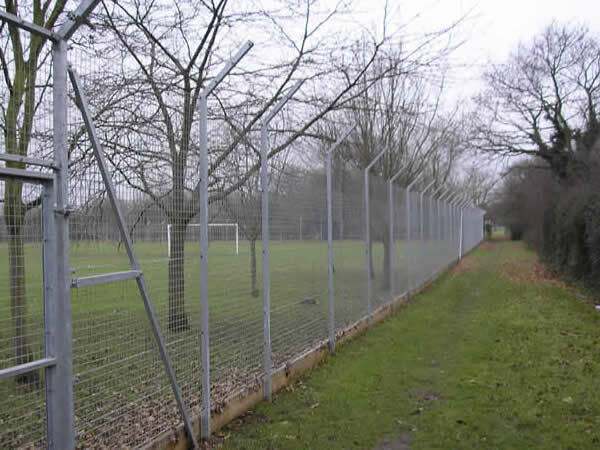 For more information on any of our types of CHAIN LINK FENCING, welded mesh, palisade, railings, site hoardings, timber, gates, games areas and shelters, covering the Birmingham, West Midlands and the UK, call G and H Fencing for a competitive quotation on 01789 209191, Email us using ghfencing@btconnect.com or complete our simple enquiry form.